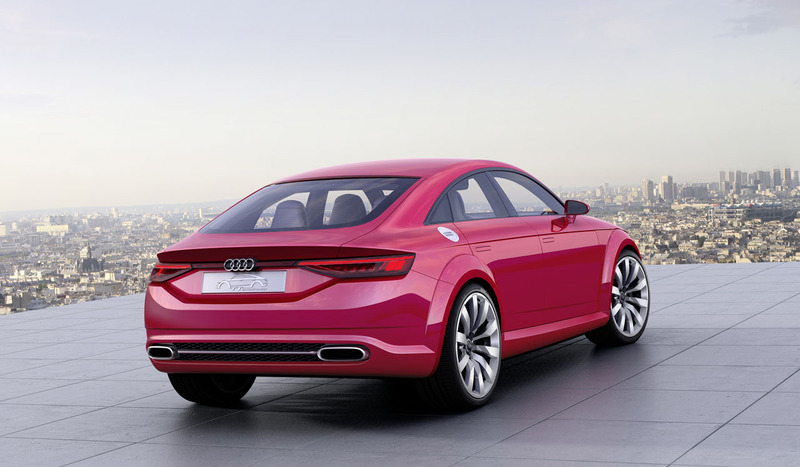 four-door coupe of its own. 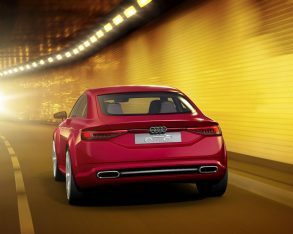 After all, it was in the unique sport sedan segment before BMW was, having introduced its A7 Sportback two years before BMW showed up with its 6 Series Gran Coupe. 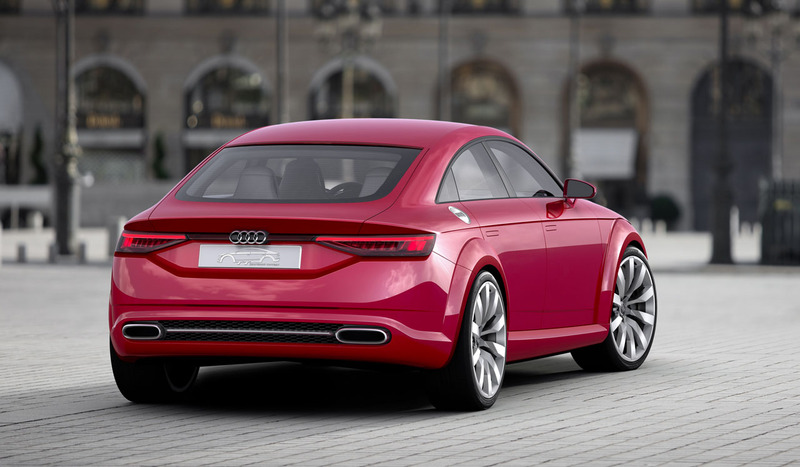 Hence, the TT Sportback Concept just introduced at the Paris motor show: an even more compact four-door fastback based on Audi’s iconic TT theme. 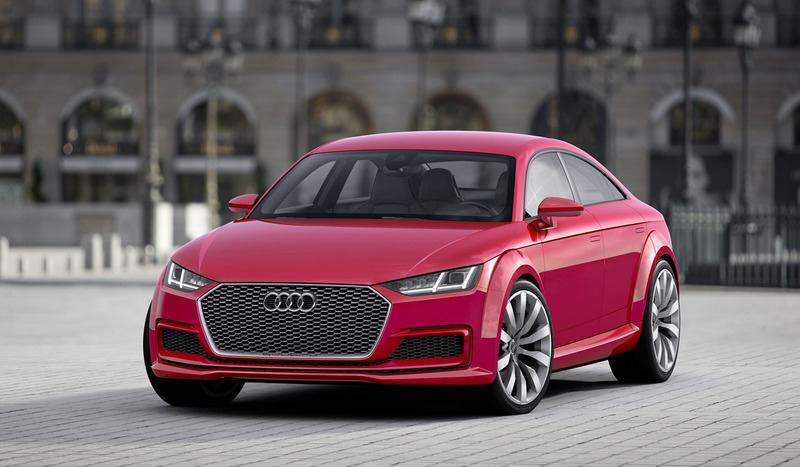 The oddity in this particular choice of underpinnings is the “potential TT family” that the new concept belongs to, so announced by Audi Board Member for Technical Development, Prof. Dr. Ulrich Hackenberg. 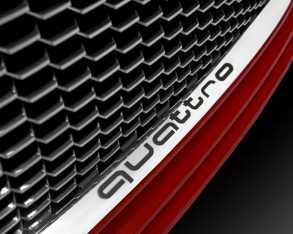 therefore the latter is driven by the front wheels unless opting for the priciest CLA 45 AMG variant. 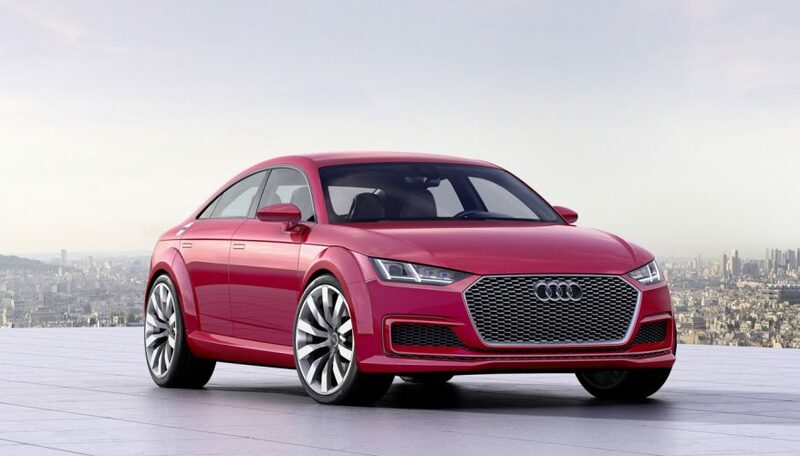 This hasn’t hindered sales of the popular new model, as should be the case with a production version of the TT Sportback Concept, considering Audi’s tremendous success selling numerous front- and all-wheel drive models. 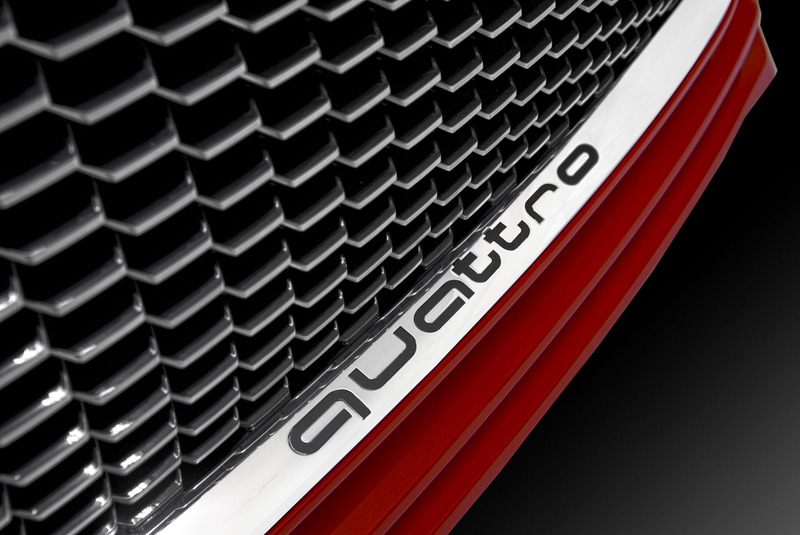 architecture as the A4. 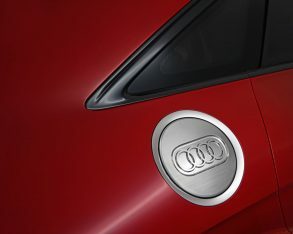 It never came here because its thinner than allowable roof wouldn’t pass North American rollover crash tests, and likely being a relatively niche model that wouldn’t amount to significant sales they decided against completely redesigning it just for the brand’s faithful fans on this side of the Atlantic. 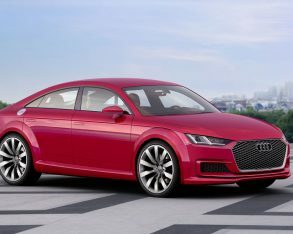 The good news for us then, is that this new TT Sportback, if indeed put into production, will likely be created for North American consumption too, and while it might not be quite as classy as Europe’s elegant A5 Sportback, it certainly is a lot sportier looking. 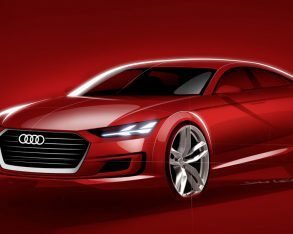 so far), make 306 horsepower via Audi’s mighty little 2.0-litre turbocharged four-cylinder, but the TT Sportback Concept features a 400 horsepower version of the same engine. 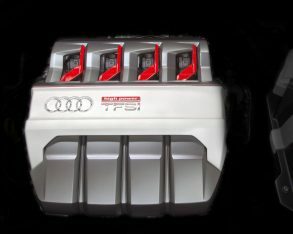 Torque for this show car engine is rated at 332 pound-feet, the combined numbers resulting in a sprint to 100 km/h of just 3.9 seconds. Like the TTS, Audi’s seven-speed S tronic dual-clutch transmission takes care of shifts, while Quattro all-wheel drive makes sure optimal grip is ever-present. 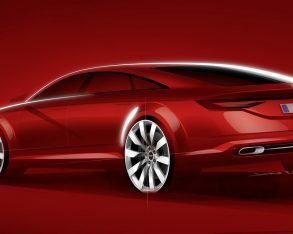 and it’s anyone’s guess if the brand will offer anything close to the 400 horsepower mill under the hood of this concept. be better handling. 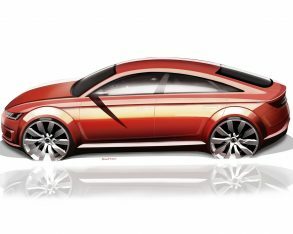 The same can be said for BMW’s 4 Series Gran Coupe, which is much larger overall. 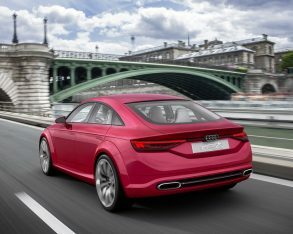 Audi’s A5 Sportback is yet bigger than either of these two German rivals, so it’s easy to understand why Ingolstadt might want to create the sportier TT Sportback, a vehicle that would be more capable of duking it out (on the road and track at least) with its main competitors. 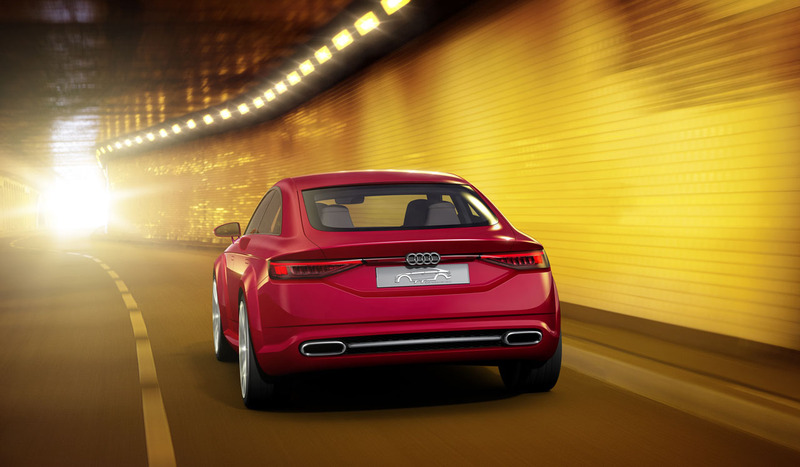 measuring 21 inches and wrapped in 255/30 performance tires. 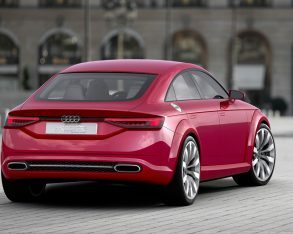 Additionally, the roofline pays total tribute to the TT Coupe, while the taillights are similar to those on the new A3 sedan. 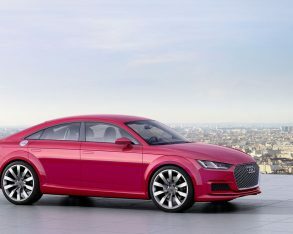 Likewise the interior is pure TT, except for the rear seats that are much more accommodating than the 2+2 setup in the Coupe. 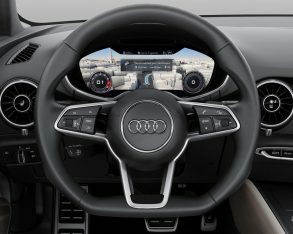 That model and this new prototype incorporate Audi’s new digital primary gauge package that the brand calls a “virtual cockpit.” The completely reconfigurable setup lets the driver select a preferred view of the TT’s various functions just by pressing a steering wheel-mounted button. 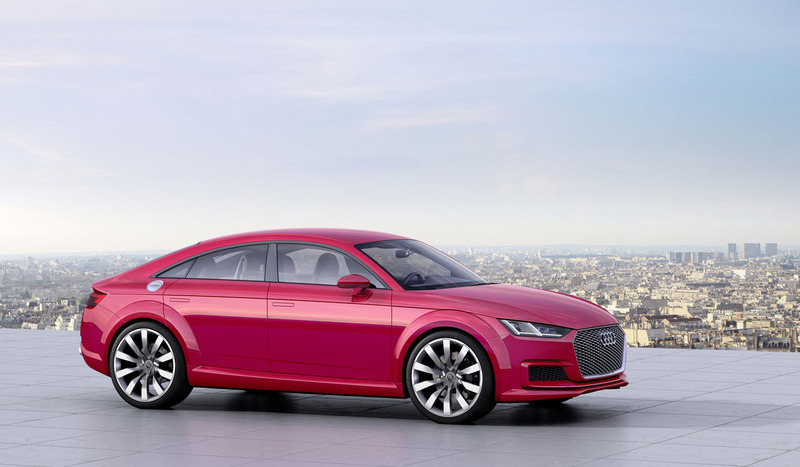 And of course the new TT Sportback will get the same high-quality, well-designed detailing as its Coupe and Roadster brethren if produced, the former achieving Interior Innovation of the Year honours at the recent Automotive Interiors Expo. 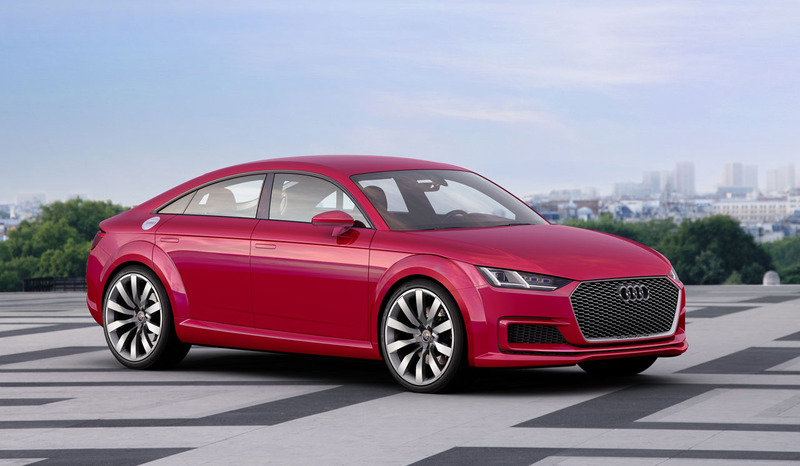 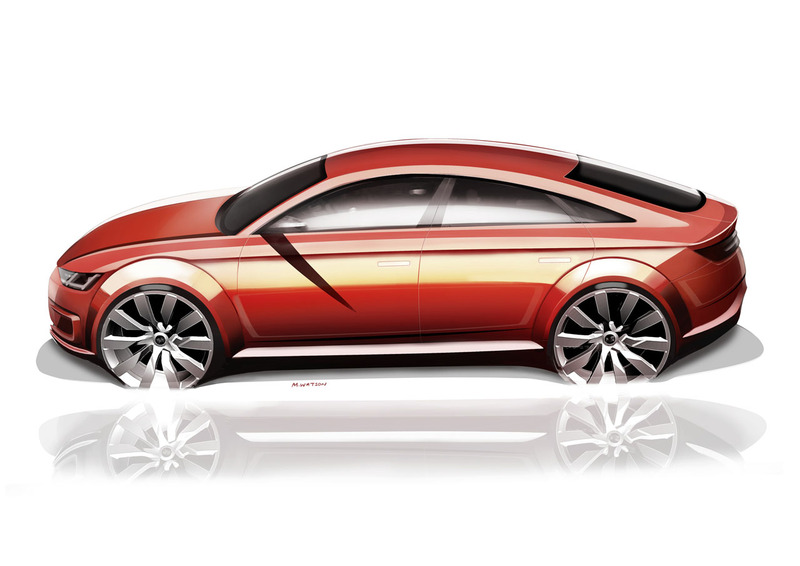 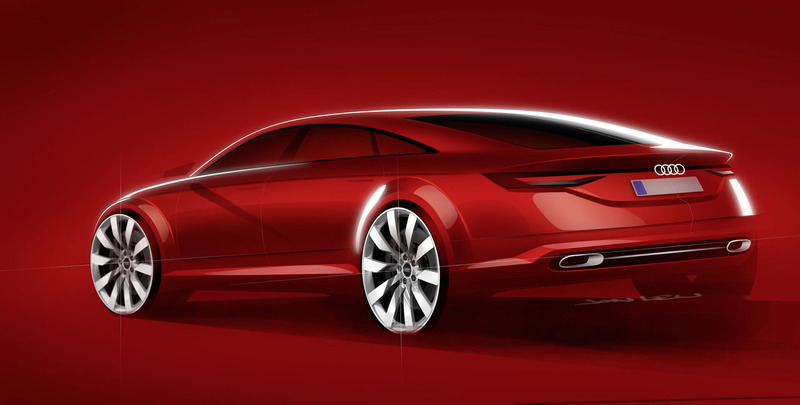 TT Sportback Concept is the latest styling exercise based on the aforementioned TT family, the previous two being the Allroad Shooting Brake Concept that showcased at the North American International Auto Show in Detroit and, more recently, the Offroad Concept that showed up in Beijing. 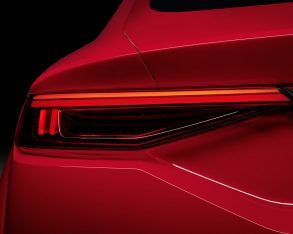 This new model appears to be the most likely to achieve production, which would make for an exciting new sport sedan within Audi’s already impressively stocked ranks, and fully capable of taking on the M-B CLA and even a future 2 Series Gran Coupe. 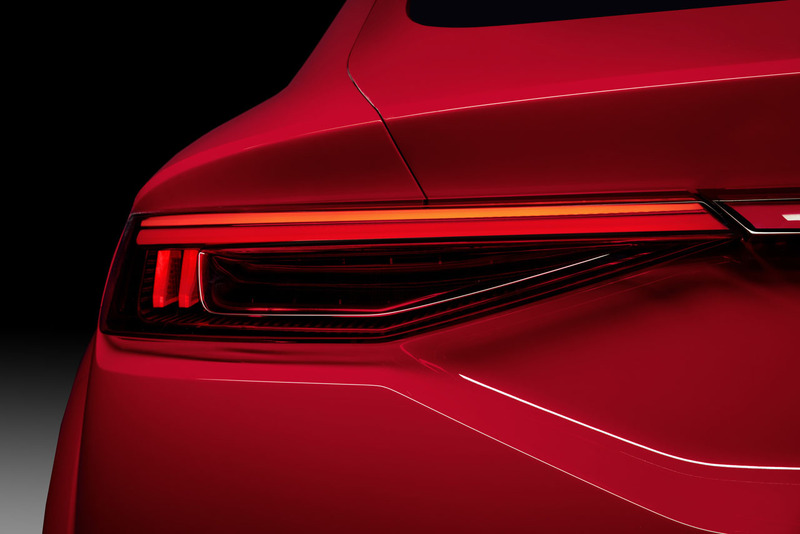 If you happen to be a performance sedan fan with reasonable means, this is a great time to be alive. 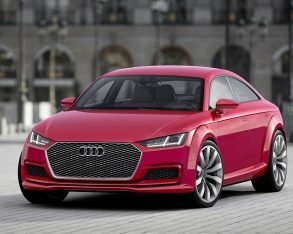 Now let’s see if this hot little number makes it to production, and then into a showroom near you.